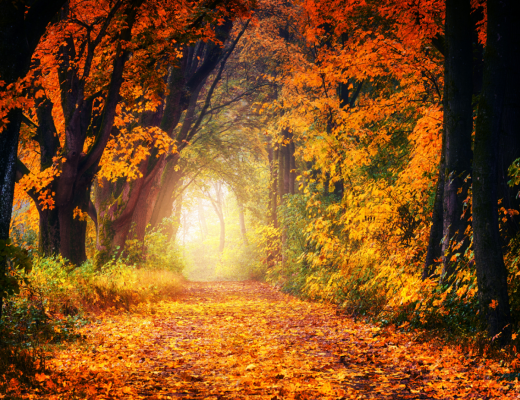 As the leaves begin to change, and the holidays steadily approach, our homes are often opened to friends and family visiting from afar. And what better way to welcome loved ones into the warmth of your home, than with a guest room that is equally stylish and cozy? To help design the perfect space for your guests, we’ve outlined a plan to create a warm and inviting room from the top down. Check it out! If there’s one thing that’s most important above all else when decorating your guest room, it’s to capture that “home away from home” feeling that’s going to keep your guests both comfortable and cozy during their stay. To help achieve this, you’re going to need a bed that is both snug and stylish. 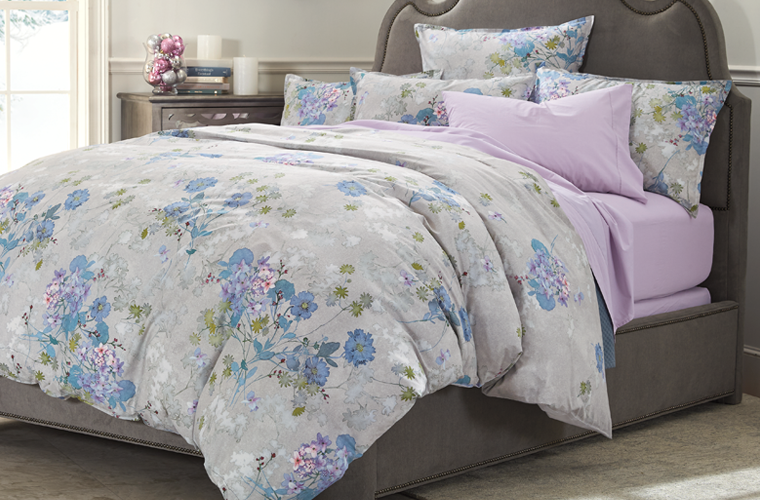 And what better place to start than with a comforter? Start off by picking something lightweight and warm, that way your guests will fall asleep soundly and stay cozy throughout the night. 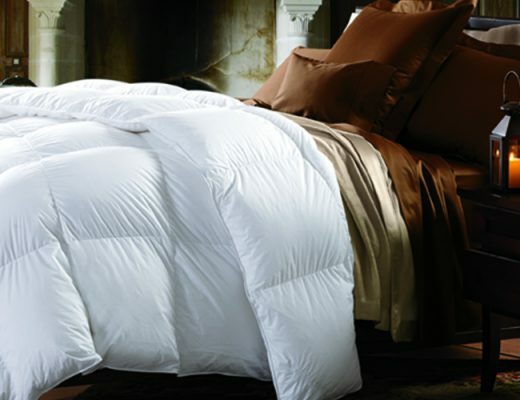 For an introductory comforter that is great during the colder months, our 600 Fill Power Sateen Colored Down Comforter will do just the trick. 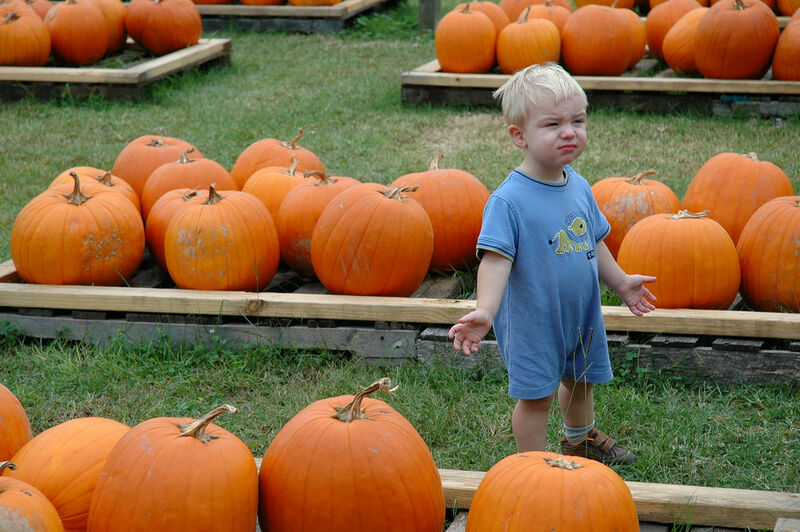 Nothing says Fall quite like flannel, and rightfully so. 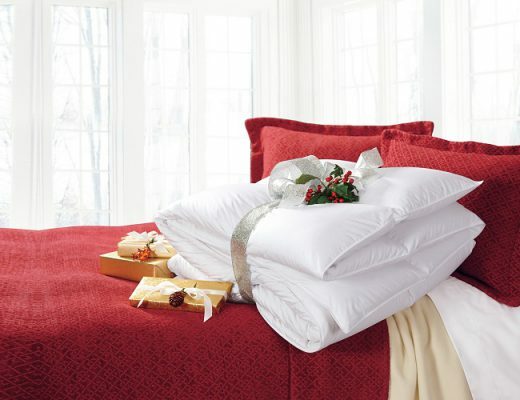 As the weather begins to drop, your guests are going to need that extra warmth to keep them cozy throughout the night. 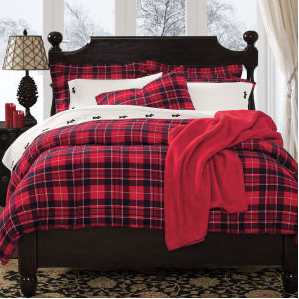 Try our Lachlan Plaid Flannel Bedding! The soft texture of flannel will keep your guests snug, and the plaid color is the perfect accompaniment for the changing scenery outside. You’ve got a long day ahead of you, so your guests are going to need to be in their best shape when they wake up the next morning. Whether you’re going apple picking, or opening gifts, a good night’s rest is crucial to maintaining energy throughout the day, and nothing affects the quality of one’s sleep more than a pillow. 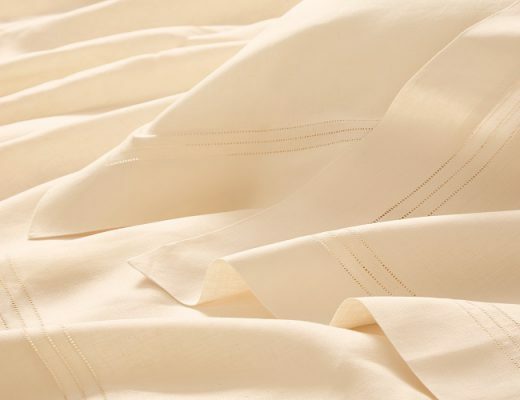 To help make sure your guests aren’t tossing and turning, choose a pillow that is stuffed with comfortable fluffy down, yet supportive enough to maintain the head and spine, such as our 600 Fill Power White Goose Down Damask Stripe Pillow. So you’ve got your bed set up, what next? When designing a guest room, it’s the little things that make the biggest difference, and that sentiment especially rings true when it comes to your guests overall hospitality. Supplying items like toiletries, water and other refreshments are crucial to making your guest comfortable, and just the thing they’ll never forget when they talk about their time with friends and family. 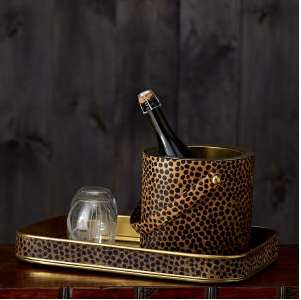 For added convenience, try adding a tray and ice bucket, such as our Leopard Ice Bucket and Tray to keep drinks cold and ready to serve. Creating a cozy, memorable guest room is a wonderful way to show appreciation to your most valued visitors. What are the best items you’ve seen in a guest room? Leave us a note in the comments and share.